You CAN have style and safety all in one. 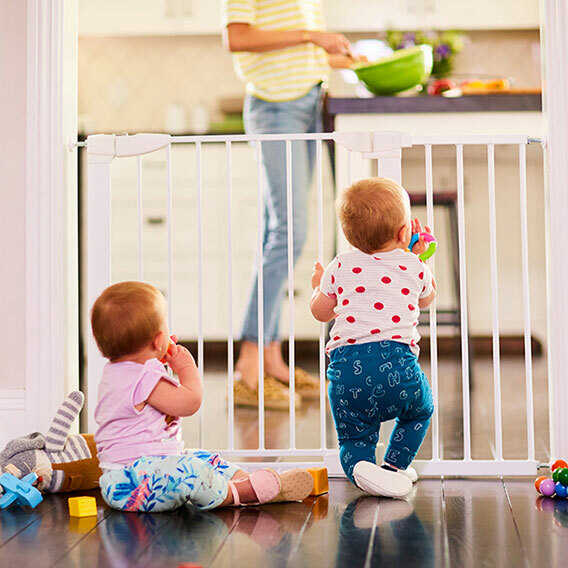 The Auto Close™ Metal Safety Gate by Munchkin is the ultimate in baby gate technology, with a sleek steel design that keeps little ones safe. Equipped with a unique gravity-fed hinge, the Auto Close™ does exactly what its name implies: it closes automatically when the handle is released. And with a little extra nudge in the right direction, the door stays open, because every parent could use an extra set of hands sometimes. Ideal for use in doorways, stairways, and halls, this infant gate stands 29.5" tall.